Rollins Information Technology has set up a web printing service for Rollins students, faculty and staff. This service will allow you to print to printers in the library from your laptop and other mobile devices. Supported files are Microsoft Office, PDF, JPG, GIF, PNG, and TIF. 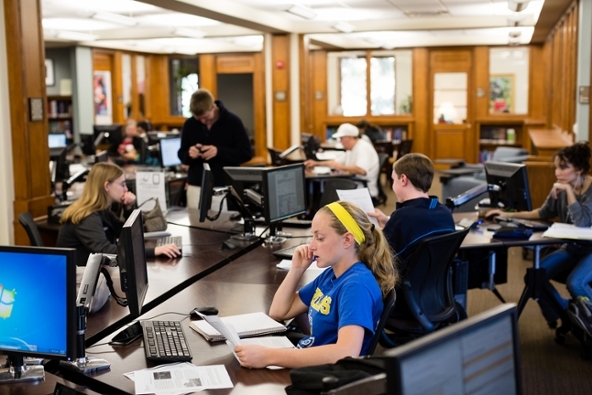 You can access this web printing service at webprint.rollins.edu. Log in with your FoxID username and password. Click the Web Print option in the left menu. Click Submit a Job >>. Click 2. Print Options and Account Selection. Upload the documents you wish to print. Go to a printer and release as usual. You can contact the Help Desk if you have any questions or problems. Guests of the library are able to print and make photocopies, but must pay a small fee per page. Prints can be picked up at the Checkout and Reserves Desk during normal building hours. Color printing is not available for guests. Prices per page for printing are $0.10 for single-sided prints, and $0.15 for double-sided. Students and Faculty can find additional instructions for Printing, Copying, Faxing and Scanning here.